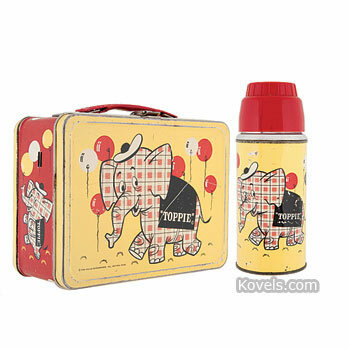 Lunch boxes and lunch pails have been used to carry lunches to school or work since the nineteenth century. The first lunch box came out in 1902 and was shaped like a picnic basket, with scenes of children playing on it. 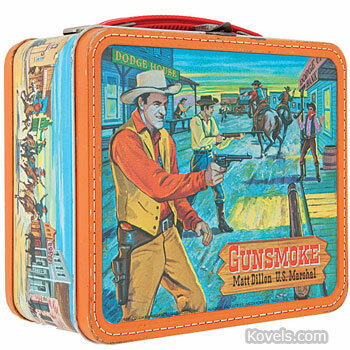 Today, most collectors want either early tobacco advertising boxes or children's lunch boxes made since the 1930s. These boxes are made of metal or plastic. Boxes listed here include the original Thermos bottle inside the box unless otherwise indicated. Movie, television, and cartoon characters may be found in their own categories. 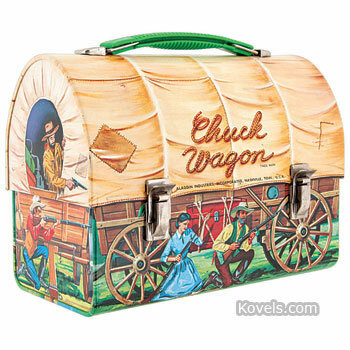 Tobacco tin pails and lunch boxes are listed in the Advertising category.